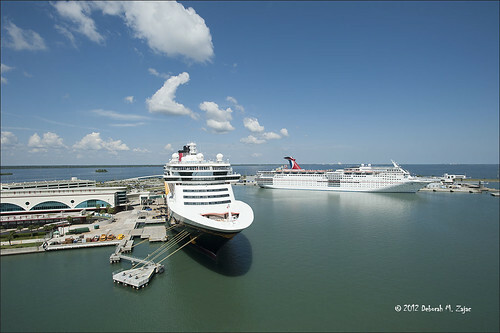 Disney Fantasy and Carnival Sensation Docked at Port Canaveral, FL, originally uploaded by dmzajac2004-. This was the view from my cabin on board the Freedom of the Seas on sailing day. All three ships were pulling out on this Sunday evening. I sailed with Royal Caribbean on a 7 day cruise to the Eastern Caribbean. It was a lot of fun, and a great ship.